Halloween is coming...and when I brush my teeth the sink turns black! A few weeks ago I was asked if I would like to try out a cool new black toothpaste. The little goth inside me was DELIGHTED and tickled at the idea of washing my teeth with something in my favourite shade so I said yes! They also sent me a cute little travel toothbrush kit which was lovely. Perfect White Black uses activated charcoal (carbon) which not only helps brighten your teeth, it also fights plaque and eliminates bacteria that causes bad breath and gum disease. Perfect White Black helps whiten your teeth thanks to the the activated charcoal which helps remove tannins from the surface of your teeth...eh wha? Basically, tannins are the compounds found in all the yum food and drink we love such as tea, coffee, wine, berries and spices. The activated charcoal in the toothpaste helps remove those pesky tannins from the surface of your teeth without harming the enamel. Grand so! 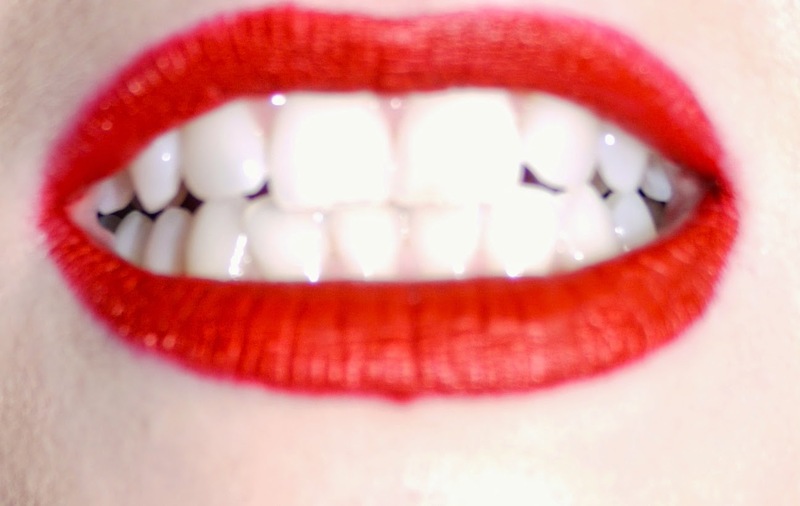 I do not bleach my teeth and I don't use whitening strips, I know many beauty bloggers do so its a little daunting to be showing you a close up of my Perfect White Black brightened teeth!!! What I like about Perfect White Black, it actually works. As you can see, my teeth don't look too bad! Prior to using this paste my teeth were by no means yellow, but I do notice that it has brightened my smile. Perfect White Black really is much less abrasive than most whitening toothpastes I have tried in the past, it is suitable for daily use and okay for kids to use too.